When you are working from a small space, finding room for a shipping office can be difficult. Having an extra room or unit just for that purpose can clear up a lot of usable floor space for other business. Additionally, your employees will be able to work in a more comfortable environment and your product will be more secure. A designated shipping office increases productivity and reduces the risk of loss or damage to products or packages you need to ship. You may think that finding a shipping office for sale would be difficult and expensive, but you can easily purchase a modular unit that will provide you the extra space you need at a fraction of the cost. One major concern for businesses is the shipping office price. You do not have to break the bank or cause major delays in your daily business construction and entirely new space. You can use space you already have without the hassle of months of construction and dust. 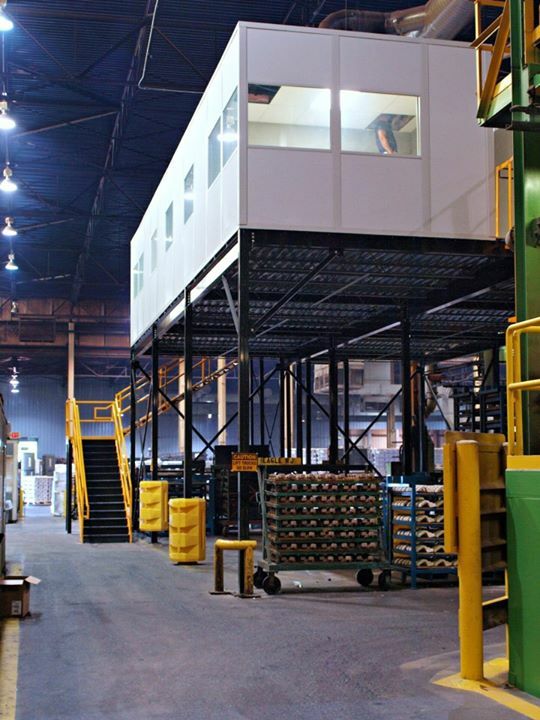 A modular shipping office is a great way to add extra space to your manufacturing site. When you choose a modular office you are giving yourself options to save money, create an ideal space for your business and saving time on installation and construction. Modular shipping offices can save you a lot of time because they can be constructed in our factories. Not only does our ability to create a lot of pieces at one time make it easier and faster for us to help construct your new office space, we can also help alleviate workspace stress. Because the majority of the construction on your new modular unit will take place offsite, you will have fewer permits to get, less distraction in the workplace and significantly less impact on your environment. A modular unit is good for your neighbors and good for you. When you purchase a prefabricated unit, you may be concerned that your space will feel boring or uncomfortable. We ensure that you will receive a unit that not only functions well, but fits your needs in regards to space and comfort. Each unit comes with matching paneling on the inside and outside of the unit, matching doors and trim, a drop ceiling and basic electrical options. You can further customize your look by choosing between a gray, champagne or white color and customizing your HVAC options. Your employees, or you, can stay comfortable and safe in our state of the art modular shipping offices. You can easily assemble and set up your new office space within a matter of hours and if you don’t feel like dealing with all of the fuss, we may be able to provide technicians to assist you. If you have never purchased a modular unit before, you may be wondering where to buy shipping office. Did you know that there are modular shipping office services available online? There are many benefits to purchasing your product online. Specifically, purchasing online allows you to view and choose from several options whenever you want. If you only have time to peruse the catalog at 3 a.m. with your midnight snack, you can. Once you have determined the unit that will best fit your needs, you can contact our customer service agents to learn more about special features you need and for a price quote. Additionally, our technicians can help ensure that the modular unit you choose fits your business space perfectly. The ability to conveniently search for and purchase a modular office from your comfortable space requires less travel. Additionally you won’t have to battle with showroom schedules and busy meetings. Simply find a time that works best for you and start your search. Shopping online for an industrial building may feel odd, but our website provides all the information you need as well as access to sample pictures and features of all of our prefabricated designs. There are many companies that sell modular office units, but you need a company that understands the market and a company that will provide you with a high quality product. Panel Built will do that. Because this unit will take the place of traditional construction, you need a product that’s guaranteed to meet all of your expectations. You need to work with a company you trust. When you choose from several modular shipping office suppliers, you should choose a company that knows how to work with businesses. 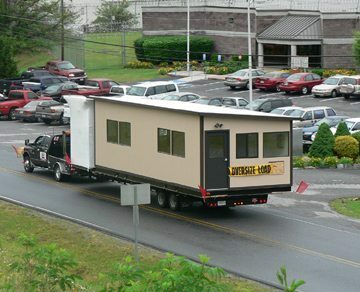 We have been providing modular office units for years. We know the industry and have worked with military and commercial companies with success. Panel Built knows that you are looking for the best available modular shipping offices for sale. We understand your desire for a high quality product that will provide your company with security, comfort and extra space. We guarantee that you will love your new shipping space. When you are looking for cheap shipping office prices online, don’t forget us. Depending on the product you choose, not only can we help you save money on shipping costs, we can help save you time on shipping and installation as well. Instead of waiting weeks or months to have your new space, we could ship your modular work area within two days, depending on the unit you choose. This could literally save you months of labor, dust and distraction. When you need a modular shipping unit for your industrial space, call Panel Built.